The 10 Best Wine Bars in Nebraska! There are dozens of great places to grab a drink in Nebraska—but where are the best places to sip on a glass of wine? These wonderful wine bars across the state offer impressive selections of classic wines and hard-to-find gems. Even more amazing? The atmosphere that creates a perfect social setting. Read on to discover the top 10 wine bars in Nebraska. The Pour House Tasting Room is a lovely wine bar located in Friend, Nebraska, in a historic building that used to be a hardware store. With its original floors and bins, the lovely ambiance and fantastic food will keep you coming back again and again for a relaxing evening. The Glacial Till Tasting Room is a pleasant wine bar in Ashland to sample amazing wines. Visitors can opt for a wine flight, which includes five pours for $5. Wines can also be paired with delicious menu items such as cheese and cracker plates, making it the perfect lunch or casual date spot. Lot 2 Restaurant and Wine Bar in Omaha offers an extensive wine list and delicious cuisine in a lovely atmosphere. Stop in for a quick bite to eat and a glass of wine after work, to impress your date, or to enjoy Sunday brunch with friends. The Twisted Vine in Papillion is an under-the-radar wine bar not to be missed! If you’re looking for a relaxing, fun place to enjoy a glass of wine and appetizers, The Twisted Vine offers a very affordable selection of wines and friendly staff to help you select a perfect bottle you are sure to enjoy. Uncork some joy at BarVino in Lincoln. Serving boutique wines (by the glass or by the bottle) and delicious appetizers, this quaint wine bar is a nice spot to stop into with friends for any occasion. For an upscale yet relaxed vibe, visit the Nosh Wine Lounge in Omaha and enjoy a tasty bottle of wine paired with a delicious dishes like sliders, salads, and soups. The cozy, intimate ambiance, friendly service, and great wine list are what make Nosh Wine Lounge a local favorite. Corkscrew Wine & Cheese is a fantastic drinks and dinner spot in the Blackstone district of Omaha. With a laid-back atmosphere that feels like a secret wine cellar and an outdoor patio, Corkscrew Wine & Cheese is the perfect spot for beautiful afternoons and evenings with a glass of wine in hand. Located in Hastings, WineStyles Tasting Station is a pleasant surprise. With reasonable prices and a cozy bistro vibe, stop in on Fridays for wine tasting events and make it an evening to remember. At Bin 105 you can pick up a bottle of wine to take home or sip in the bar. This cozy wine bar features a variety of wine tasting options as well as a snazzy “wine vending machine” that pours out wine by the glass. Cedar is a cozy neighborhood spot in Omaha with a fantastic selection of wine and friendly staff. 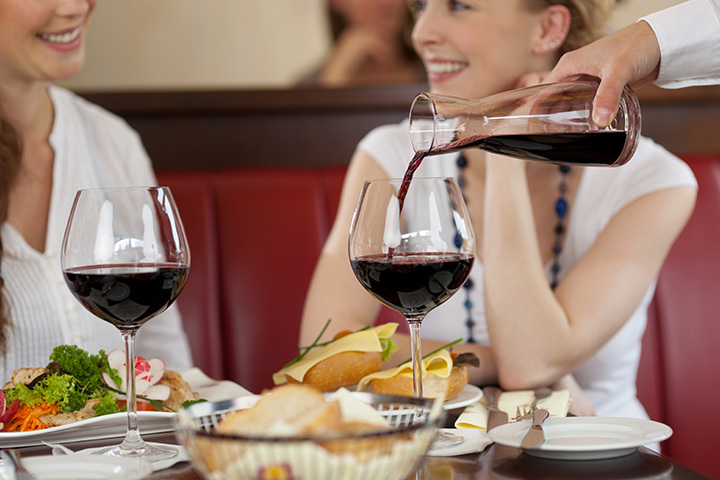 Go with friends to unwind and relax with the perfect glass, or bottle, of wine.